One of the world's most revered film critics and programmers, Kent Jones discusses why he finally had to make a movie of his own. Kent Jones was almost 60 years old before he made his first narrative feature, but the revered film critic and programmer was already something of a legend in the film world before he stepped on set. His résumé is ridiculous by any standard: In addition to working as Martin Scorsese’s archivist — and collaborating with his close friend on three acclaimed documentaries about cinema history — Jones’ writing for esteemed publications like Film Comment, Cahiers du Cinema, and The New York Times earned him a position at the Film Society of Lincoln Center. When his tenure there came to an end, Jones edited a book of essays on the films of Olivier Assayas, co-wrote a wild Arnaud Desplechin movie that premiered in competition at Cannes, and then agreed to return to the Film Society for an even more prestigious role as director of programming at the New York Film Festival. Since then, Jones made the documentary “Hitchcock/Truffaut,” and has continued to write both for and about film. Whew. With “Diane,” which won Best Feature at last year’s Tribeca Film Festival, Jones follows in the footsteps of critics-turned-directors like Assayas and François Truffaut. His fiction debut feels like the work of someone who’s been building towards it for their entire life. 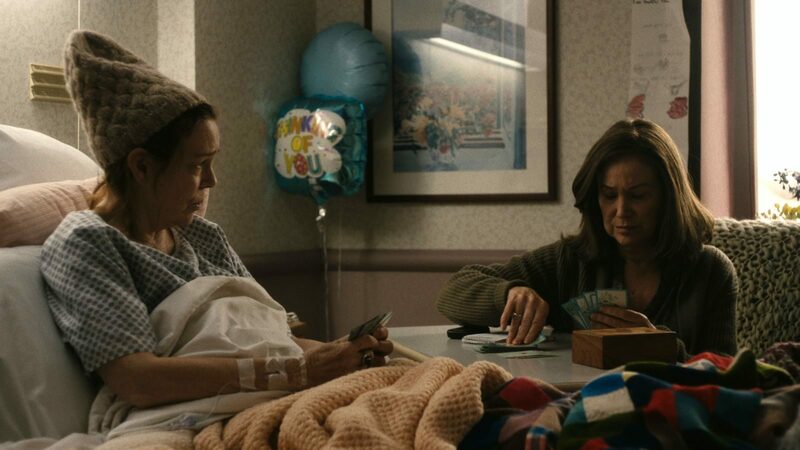 Anchored by a shattering performance from Mary Kay Place in the title role, “Diane” is tethered to a selfless Massachusetts woman who tirelessly cares for all of the damaged people in her world, from her bedridden cousin (Deirdre O’Connell) to her drug-addicted son (Jake Lacy). But as time progresses and winter settles in, it grows increasingly clear that Diane feels responsible for much of the damage around her; it becomes hard to tell if the help she provides is motivated by goodness or guilt — it becomes hard to tell what the difference might be. In much the same way that life seems to speed up as we get older, the drama gains momentum as it tumbles towards its indelibly honest denouement. When Diane’s loved ones begin to die in the final act, the film reaches enough speed to lift off the ground and glimpse this mortal coil from a more cosmic perspective, eventually resolving into a beautiful story about the bittersweet shortsightedness of being alive; about how limitless life can feel when we’re blinded to its borders. It’s one of the year’s most extraordinary movies, and the work of a natural filmmaker whose long-awaited debut has arrived just in time. IndieWire sat down with Jones in a Brooklyn coffeeshop to discuss his transition from film critic to filmmaker, the invaluable support he received from the likes of Martin Scorsese and Jim Jarmusch, and the purpose of cinema in a world where enlightenment never seems to last after people leave the dark of a movie theater. There’s a moment in “Hitchcock/Truffaut” when Hitchcock expresses a measure of self-doubt, and wonders if his harshest critics were right to dismiss him as a purveyor of cheap entertainments. 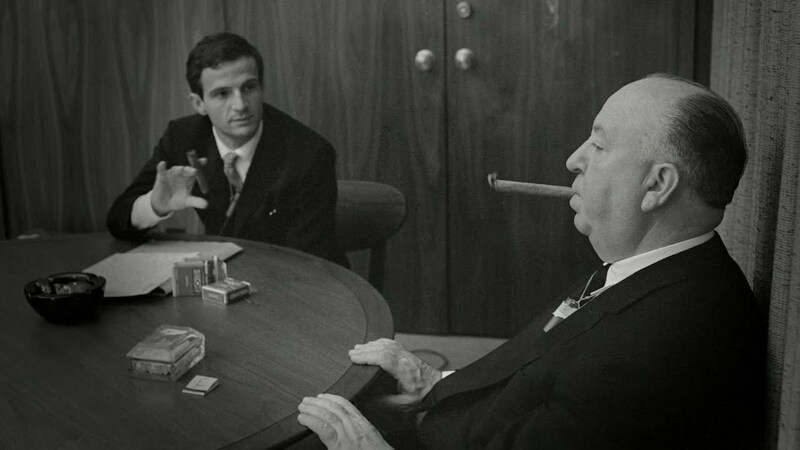 Truffaut, who reveres Hitchcock like a god, has to reassure his fellow auteur that he did something substantial with his life. Even the most accomplished people can struggle with their own worth, and feel as though they’ve fallen short of their potential. You’re renowned a film critic and programmer as anyone in the world, but for all of your accomplishments, was your move into filmmaking at all motivated by insecurity? I was always aimed in the direction of making movies. In fact, before “Diane,” there was another film that I got very close to making, and it didn’t quite happen. When a movie that costs $100 million doesn’t happen, it’s usually because of some kind of business decision. When a smaller movie doesn’t happen, it’s generally because there’s a bit of hesitancy on the part of the person who needs to be driving it. You didn’t believe in that project? That might also get into issues of residual stuff from childhood about politeness and waiting your turn and things like that. Everybody has them, and everybody thinks that they’re the only one who has them. Filmmaking is an act of hubris, to some degree. Anything that’s worth doing is an act of hubris, you know? And you just brought up the idea of an imaginary hierarchy that puts filmmakers above critics. The only reason that happens is because most filmmakers feel very distant from the way that the idea of filmmaking is envisioned in criticism. But I knew [famed critic] Manny Farber very well and Manny was a really hard worker who truly put himself on the line with every piece that he wrote. And he kind of came at it from a weird angle, you know? He dispensed with the idea of narrative as important, which I think is a mistake. I mean, if it’s a narrative movie, the narrative is important. But he saw something in film that was really truthful. So when I was writing more criticism, I was working hard at fashioning criticism to be what I wanted it to be. And then I became more interested in this idea of the divergence between filmmaking as it’s imagined, and filmmaking as it is, and [felt compelled to pursue that]. Because of events in my personal life, if you had asked me this question a few years back I might have felt like, “Yeah, I’m not fulfilled.” But then I was. You had to reach a certain point in your life before you could get out of your own head and make a movie that wasn’t posturing in some way? There are a lot of ways to talk about why I made my first narrative feature at the age that I did, but one of those ways is to say that everything that I valued in cinema — everything that I valued in the original movies I loved — it was all about the kind of attention that you can bring to filmmaking. It had nothing to do with preconceived ideas. It was just about the work and a direct response to it, and I think there was a part of me that wanted to arrive at the moment in my life when I thought I was ready to think about my own movies that way. You’ve amassed a comprehensive knowledge of cinema over the years — one on par with or greater than that of any working filmmaker. Was it hard to check that stuff at the door and make a movie that wasn’t just a collection of things from other movies? It was easy, but it was a long road to find that easiness. Yes, I have a memory — there’s a storehouse. Marty and I share that kind of memory. The references that are in “Diane” are more of the nuts and bolts variety. When I met with my cinematographer Wyatt Garfield I told him that I was going to call Jim Jarmusch to ask how he and Frederick Elmes achieved the look of “Paterson,” and then act accordingly. And that’s what I did. Fred did the old trick of putting hosiery in the camera behind the lens, and we did that too. I told the production and costume designers that I wanted to see a pop of color in every scene, and to have a degree of detail that would allow us to use distance the way that Hou Hsiao-hsien does. I don’t always get it, but that was the idea behind the mirrors in the background in the scene where Diane is getting her nails done. So the references are there in stuff like that. These are just ways of getting things across. That’s very funny because Wyatt thought of that as our Kiyoshi Kurosawa scene. I also outright stole two things from Orson Welles’ “The Magnificent Andersons.” I’m not ashamed to admit it. There’s one moment in the hospital, and then another in the scene where Jake Lacy is waiting for Mary Kay Place at the diner and the camera moves around the corner to find him there. Welles does that in “Ambersons” in the scene where Tim Holt walks into the widow’s house to confront her about gossiping about his mother, and then he appears in the frame so you think it’s his point-of-view. I didn’t feel right to go quite that far, but I used the movement. Sometimes you don’t even know how these things stay with you. I re-watched a couple of Monte Hellman’s films after finishing “Diane,” and I realized how deeply they had affected me. Monte’s movies are all about having a heartbeat and a pulse that leads inexorably toward an ending. There’s drama, but it’s sort of underneath the surface, or intermittent. Finding that pulse was exactly what we were doing in the cutting room with “Diane,” but I didn’t spend even one second thinking about “Two-Lane Blacktop” until after we were done. It goes back to something I learned making documentaries with Marty about other filmmakers. When you’re working with clips from movies made by other people, it’s tempting to think that these excerpts on their own can do precisely what they do in the context of the film from which you’ve taken them. They can’t. You have to violate them to a certain degree. Even when you’re literally taking footage from other filmmakers, you have to make your own movie. You’ve talked in the past about how limiting the idea of “influences” can be, citing how Jean-Luc Godard once said that his father was more of a reference point for him than another filmmaker could ever be. “Diane” was inspired by your great-aunts, but you’ve also said that the title character is basically your mother, was her loss what made it possible for you to understand what this film had to be? Yes. And I didn’t even realize how much of my mother was in the character until I was in the editing room. I mean, I knew. Mary Kay has said that I told her it was about my mother, but I’m not even sure if I remember it that way. The movie changed over the years, and at a certain point it became a story of mother and son. I was not an addict when I was young, but a very, very close friend of mine was. So the dynamic is something that I was familiar with. My mother had dementia, and so — for about seven years — I saw her slowly fade away. The best stretch of that was when she was made no sense whatsoever anymore verbally, but still completely related to what was happening emotionally. Those were great days. I was with my grandmother when she died, and I was with my mother when she died, and the fact of the matter is that death is just as much a miracle as birth, you know what I mean? It’s a passage — it’s work. I felt privileged to be there when my mother died. It’s something that I’ll never forget, and it didn’t feel tragic to me. It was something else. If I had been younger, it probably would have been different. It was very close to the time after my mom passed away when Mary Kay wrote to me and asked where I was at with the script, and I just made a promise to myself that I would not respond until I had a draft. So that’s the answer to that question. Over the years, you’ve become close with a number of major filmmakers. Martin Scorsese executive produced “Diane,” and everyone from David Fincher to Richard Linklater is thanked in the credits. Was it intimidating to show them your work? The thing is, they’ve all been nothing but supportive. Every single one of them. And that’s a matter of comradery, you know? It’s hard to talk about. They’re not my friends because they’re famous. Those friendships started because I recognized something of myself in their films and they recognized something of their films in what I wrote about them. It must have been encouraging to have Scorsese in your corner, and to have the experience of collaborating on several documentaries with him. Was there something deliberate about your trajectory as a filmmaker? Was it a process of building your confidence? I don’t know. I mean I have a lot of boxes of old notebooks stored in a friend’s house — just notebook after notebook after notebook of ideas for scripts. Pages and pages and pages and pages. So this goal was always with me while I was out gaining other experience and learning every step of the way. The work I did with Marty was invaluable. There was this documentary we did together about the Statue of Liberty when it reopened after 9/11, but it had to be made within a matter of seconds, and Marty was like: “Yeah, you’ll do it.” So, he threw me into the deep end of the pool and that ended up being a great experience.